Dagen’s #Twoodle, udfra ordene: hungry + pear. he ended up saying yes, oh so polite. 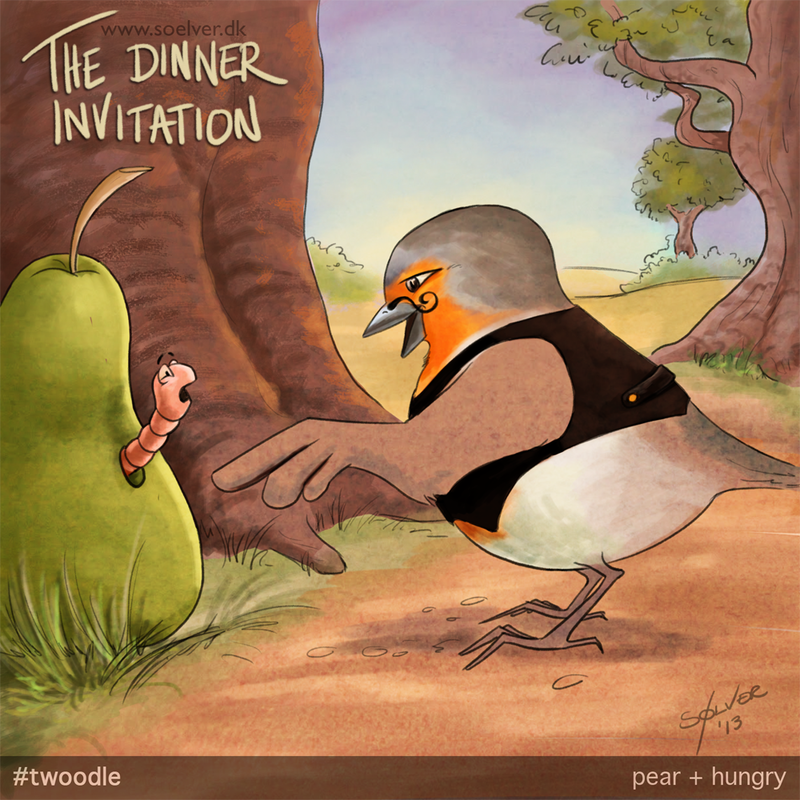 Today’s #Twoodle, from the words pear + hungry.